The Central Office Is Dying. Long Live the Remote Workforce! The era of the desk-based workplace is coming to an end. For a long time, work was a location. “Going to work” is still a common way to talk about it. In the past, you needed to meet people, talk in person, and exchange physical goods if you wanted to work, but these things are becoming less and less necessary. 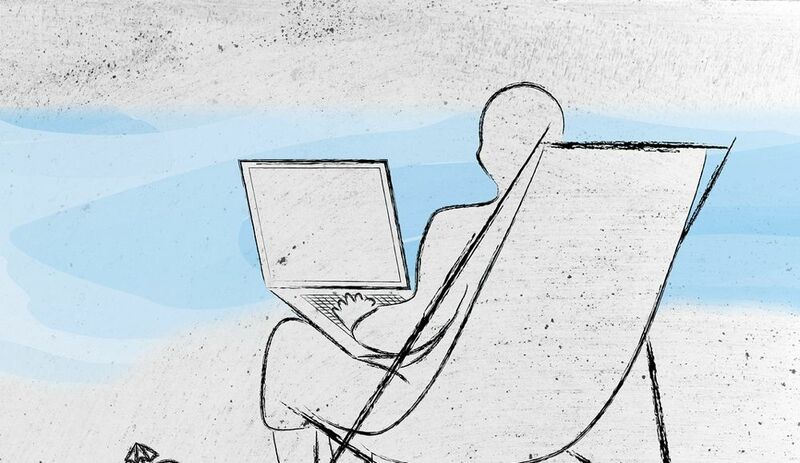 In fact, a recent survey of remote workers shows that 91 percent of them feel more productive outside the office. With the latest advancements in technology and communication, we are finally able to free ourselves from the shackles of the office. But what does this mean for business leaders? How do we maintain productivity, influence company culture, and engage our employees in this new remote world? The people have spoken: Mobile is the way of the future. Almost the entire growth of digital consumption in the past few years has been on mobile devices, and that trend is only going to continue. In order to guarantee a constant connection with our deskless employees, we must design and optimize our systems for mobile usage. If we don’t, we risk leaving a major percentage of our workforce lost and adrift. With 72 percent of all employees using mobile devices for work, anything that is not mobile is destined to fail. We used to design systems for their owners – like HR for HR and IT for IT. While those groups are important for the overall operation of a business, they don’t provide the core value for consumers. It is the engineers, the salespeople, the nurses, the claims managers, and the like who ensure customers keep coming back. To make life easy and efficient for these essential employees, we need to aggregate key services like HR, communication, and news. Depth and simplicity are not enemies. We shouldn’t ask people to constantly navigate multiple applications. We should bring services and information to them in a simple, aggregated format. We may be getting our work done at home, but the lack of physical proximity can sometimes lead to feelings of isolation and disconnection from team members. It’s important for leaders and managers to address these emotions in our employees. Over-communication is essential to making remote employees feel like part of the team. Ensure that communication remains personal and relevant to each individual so that they feel the company values their contributions. Get on a video chat, ask about their days, and prove that personal connections are still a part of the job. The core of any business has never been housed in a central location. The core is in the value we offer our customers. Today’s technology has given us the power to provide more value and better work than ever before – no matter where we are. Daniel Kraft is the president and CEO of Sitrion, which provides mobile productivity solutions for the digital workplace. Daniel is a public speaker on topics involving employee engagement and productivity and was featured on TEDx. Daniel Kraft is the president and CEO of Sitrion. Sitrion provides millions of people with a mobile and socially enabled workplace that's tightly integrated with SAP, Microsoft SharePoint, Office 365, and Salesforce. Daniel is a public speaker on topics involving employee engagement and productivity and was featured on TEDx.